- Useful as replacment marbles in games. - Be creative and create new games to use your marbles for. - These Glass marbles are also great for decorating vases. - Each blister contains 20 glass marbles. 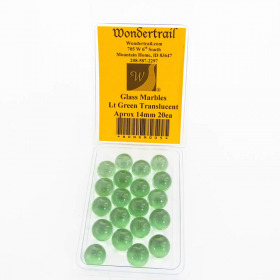 - Glass marbles are 13-15mm Approximately 9/16 inch in size. - All marbles are packed in blisters for protection in storage and shipping.